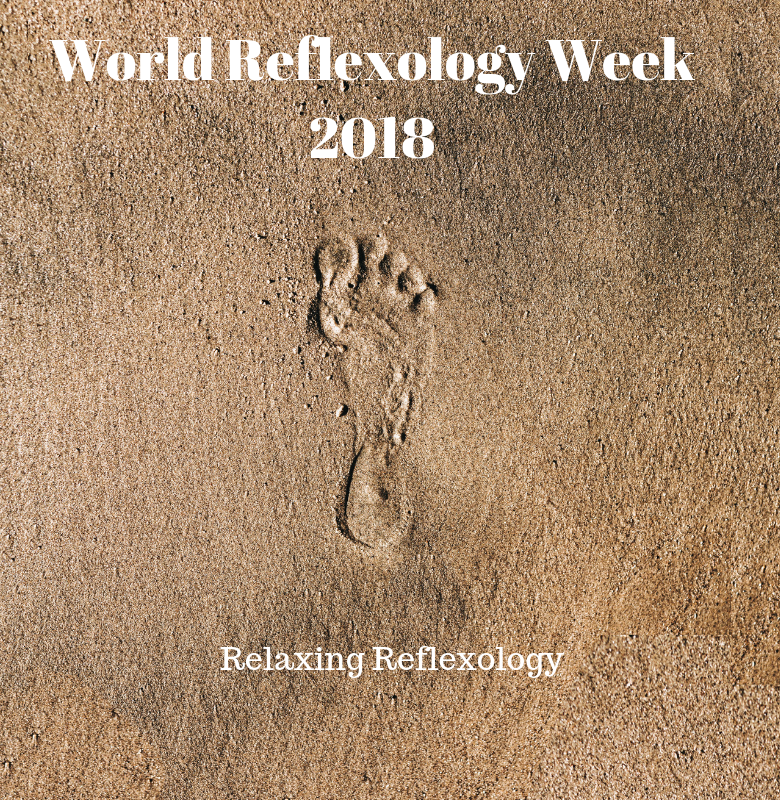 World Reflexology week 2018 – What is reflexology? You’ll already know that Reflexology is a holistic therapy involving massage and manipulation of the feet, sometimes the hands – and even the ears. The various zones of the feet correspond to areas of the body, so a reflexologist works systematically along the foot, applying gentle pressure to specific points. Reflexology is used to relieve tension and treat illness. The theory is that there are reflex points hands and head, as well as the feet, which are linked to every part of the body. Reflexology has been employed for over 4,000 years, with some indication of its use in China and Ancient Egypt as early as 2330 BC. North American Indians are also thought to have used a similar foot therapy hundreds of years ago. I think we can call that ‘tried-and-tested’! Some sort of foot massage treatment has been around since the 16th century. Later, apparently, US president James A Garfield (1881) relieved aches and pains by applying pressure to his feet. A Dr Fitzgerald introduced ‘Zone Therapy’ to the medical profession around 1915. As with many holistic treatments, Reflexology was met with some suspicion, but continued to develop and is now widely used. The theory is that energy points in the feet are revitalised through the gentle pressure and this has a beneficial effect on the corresponding part of the body. Massaging tense, swollen or tender points on the feet may help release tension or pain elsewhere. Aches and Pains: Reflexology is often used to help treat headaches and migraines, back ache and neck pain. It alleviates the tension in the muscles that can cause pain. Neurological Conditions: Reflexology can stimulate over 7,000 different nerve endings. With age, these nerve endings can lose sensitivity and Reflexology can help. Anxiety and Depression: The hormone Serotonin encourages a feeling of wellbeing and a lack of serotonin is linked to low mood and depression. Massage of the top of the toes can promote production of serotonin. Several glands are also involved in emotions and so stimulating the appropriate Reflexology points can be helpful. Reflexology is often used to alleviate anxiety and stress. Circulation: Reflexology can improve the body’s blood flow, and effective circulation enables the body to simply work better. Foot Health: Reflexology stimulates the muscles, eases ankle and heel pain and reduces stiffness. Insomnia: Reflexology undoubtedly aids relaxation as well as reducing stress. Many patients report a major improvement in their ability to sleep – and the quality of that sleep. This is huge. Tiredness and fatigue can be so debilitating, and also exacerbate low mood or anxiety. Better sleep is crucial to mental AND physical health and is also key to recovery from illness. PMS or Menopause: Many women are affected by their hormones and can be plagued by irritability, tummy pains, bloating, headaches, fatigue, insomnia and mood swings which can really be helped by massage. Reflexology helps reduce symptoms of the menopause, too. High Blood Pressure affects millions of people and contributes to kidney disease, strokes and heart disease. Reflexology has been found to have a positive effect on systolic blood pressure and triglyceride. Cancer Patients: Reflexology can help with the effects of gruelling treatments such as chemotherapy and radiotherapy. Massage can help patients sleep better, reduce nausea and vomiting and help the digestion – as well as all the benefits it has for mental wellbeing. Detox: Reflexology can help eliminate toxins from the body and improve bladder function. There are specialist forms of reflexology for specific purposes. One in every three couples experience fertility problems. Fertility Reflexology, also known as Reproflexology, works to enhance your natural fertility, and is much more affordable and less invasive than traditional private treatments. The benefits of maternity reflexology are well-researched and studies have shown that women who have maternity reflexology experience less painful labours, shorter first stage labour and better sleep, even after pregnancy. Reflexology reduces stress and is also a great way to prepare your body for birth naturally by helping to relax the pelvic area. I Need Reflexology! How Do I Book?